We’re getting ready to post pictures of Emma’s nursery but first I thought I’d include a few pictures of the space, back when it was as guest room and then, later, Ben’s nursery. This was right after we moved into the house. It was actually my favorite room as it had nice cheery yellow walls and plenty of light. Ick. Poor choice of curtains. The pea green isn’t really working. But it was the first time I’d ever dyed anything and I was determined to use it, despite hating the end result. 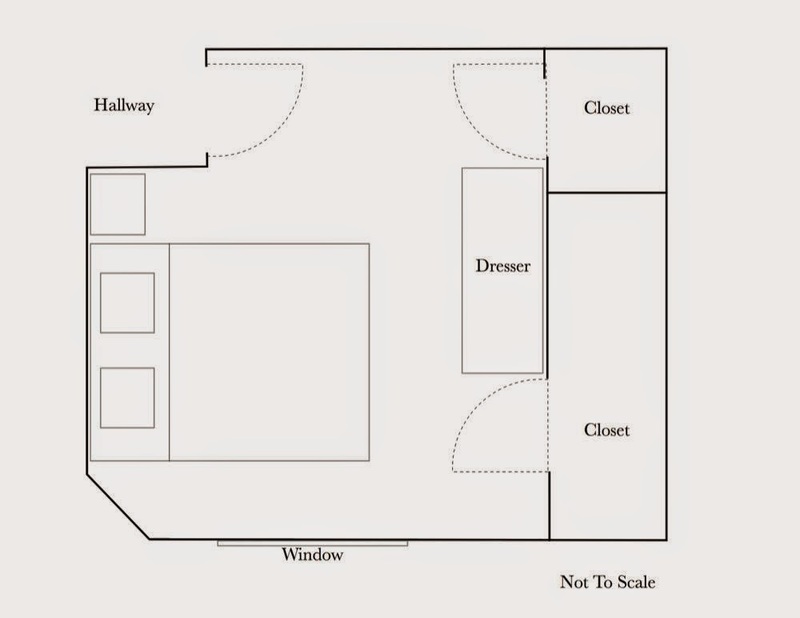 The bed was located in the space currently inhabited by the crib and chair. And the new dresser lives where the old dresser used to live. We also had these gorgeous wood floors that we sadly covered in carpet because they were so beat up and squeaky. But the good news is that they’re still there so if the next owners want wood floors, all they have to do is peel back the carpet. Randomly, both of these pieces are in Emma’s new room today. Except the plant bit the dust (aka I accidentally killed it) so I had to buy a new one. 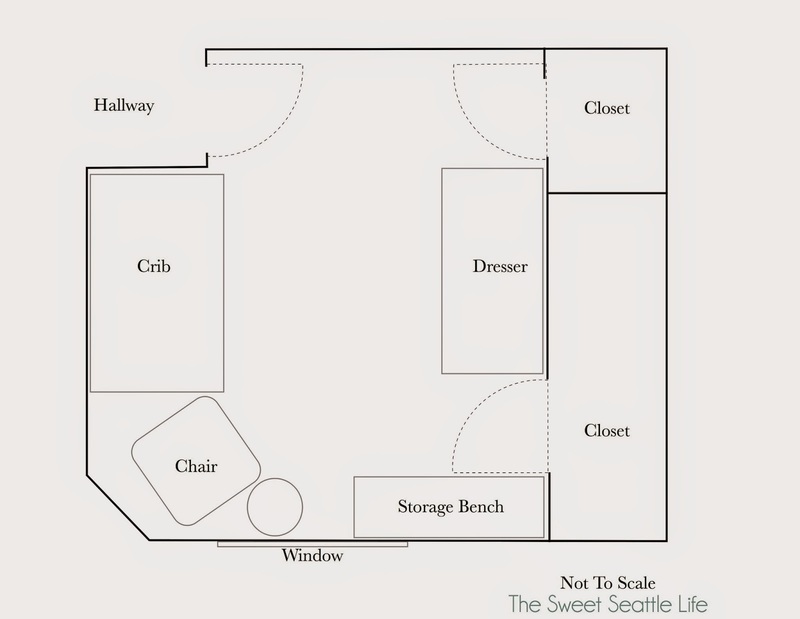 Here’s the layout for Ben’s nursery. Emma’s is exactly the same. The bench is different. Ben was loathe to give this one up so it followed him into his current room. Different curtains and bunting, too. Same dresser. Some of the same artwork. And this is what we did with the big wall. It looks completely different today. (That decal never would have lasted with Emma). Wait till you see it tomorrow.